← Museum Explorer Packs launched for Under 5s! Our Nuneaton Art School Reunion event was a heartwarming success. 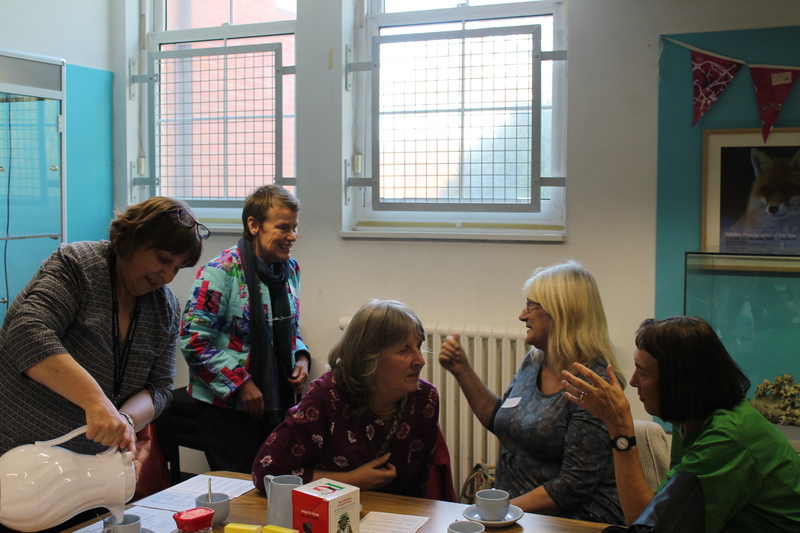 Former students fondly reminisced about their days at the Art School over cups of tea and broken biscuits in our pop-up Common Room whilst listening to the 1960s and 70s music of their student days. The Common Room was a regular hang-out at the Art School with a record player in situ. One pupil recalls taking in some rock n roll 78s which ‘went down very well until someone sat on them and broke the lot’. Another student remembers one of her Art School friends playing his guitar in the Common Room during breaks in between lessons. The social side of Nuneaton Art School life, the friendships made and the fun had was very important to the students. At our event this was clear to see as old classmates greeted each other with hugs, chatted and laughed together and happily recalled their teachers, friends, the subjects they studied and apparently, ‘lots of romances and intrigue’! For those happy to share their memories on camera for posterity, our museum kitchen became a mini film studio for the event. 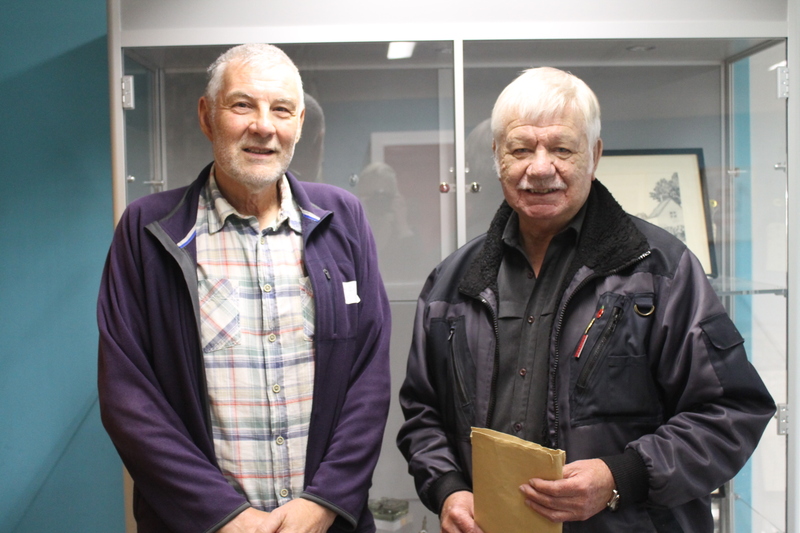 George Ratcliffe and David Cox, glad to be reunited, studied together during the Art School’s last year at Nuneaton Museum and chose to be filmed discussing their memories of that time together. 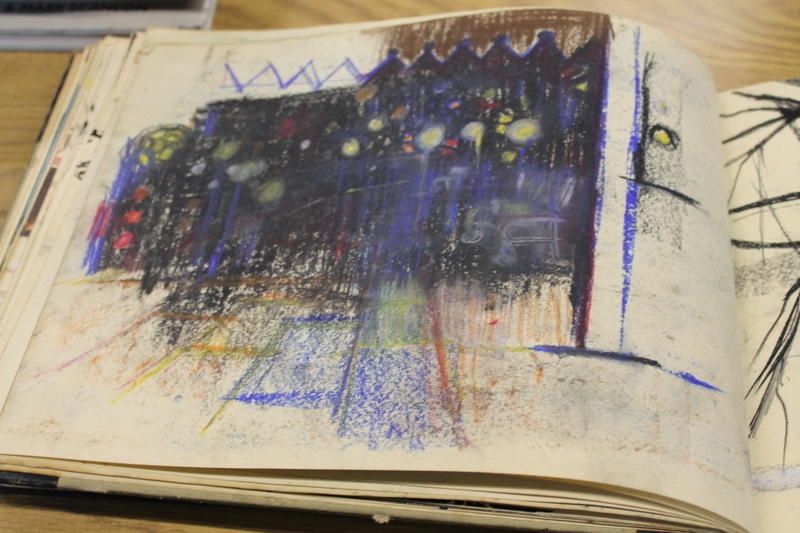 David expressed how lively and inspiring the atmosphere of the Nuneaton Art School was. Work created at Nuneaton Art School was shared at the Reunion. Margaret Keeley’s beautiful watercolours were displayed in the Common Room as well as detailed pencil sketches by George Ratcliffe. 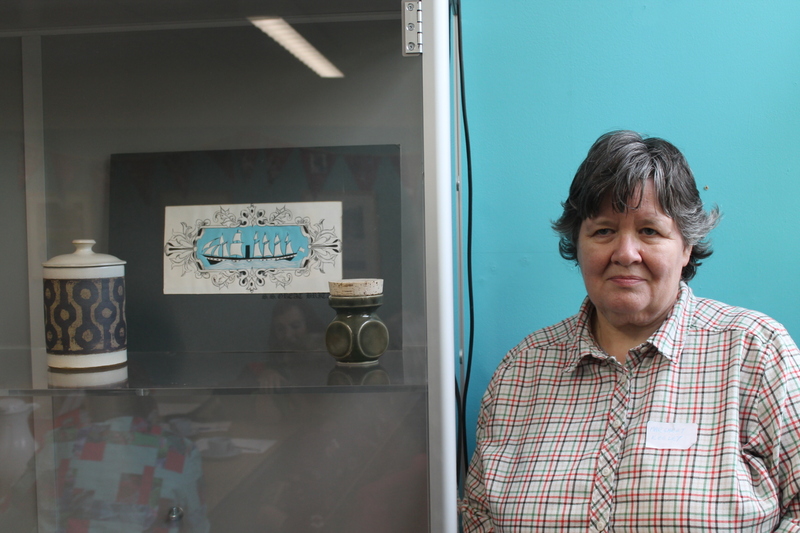 Margaret also brought in some pieces of pottery she made at the Art School including a cleverly designed spice jar. David Cox shared one of his sketch books, filled with wonderful studies in various media and a portfolio displaying advertisements he created during his career in advertising. Our Reunion attendees also had the opportunity to flex their creativity with our artist led workshop in the Picture Gallery. 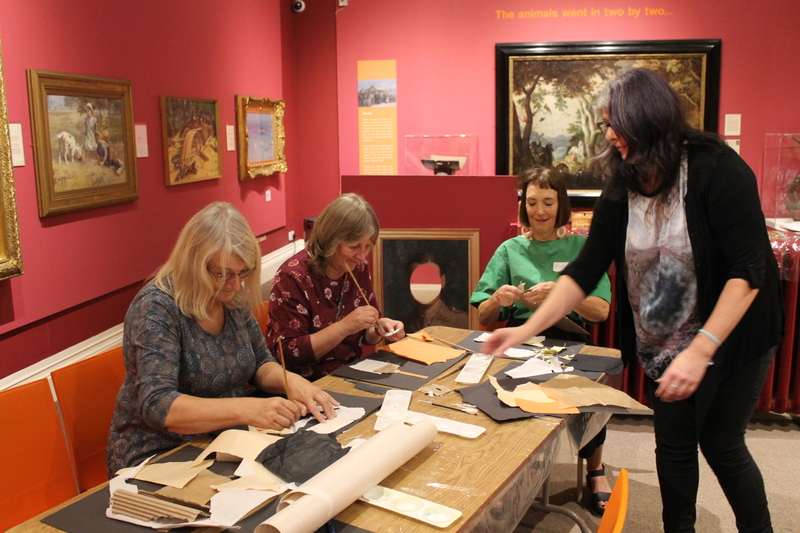 It was great to see a group of former Art School students together again, making collages. Rosalind Holmes expressed how appreciative she was of the broadening of knowledge she experienced during her ‘two short years’ at the Art School, which along with painting, drawing and sculpture encompassed costume life, natural form, dress, the history of art and architecture, jewellery making and even welding! Rosalind also recalled outdoor sketching in the grounds of Caldecote Hall and along the canal in winter. One of the oil paintings she made from those canal-side sketches went on to win First Prize in the Nuneaton Festival of Arts. 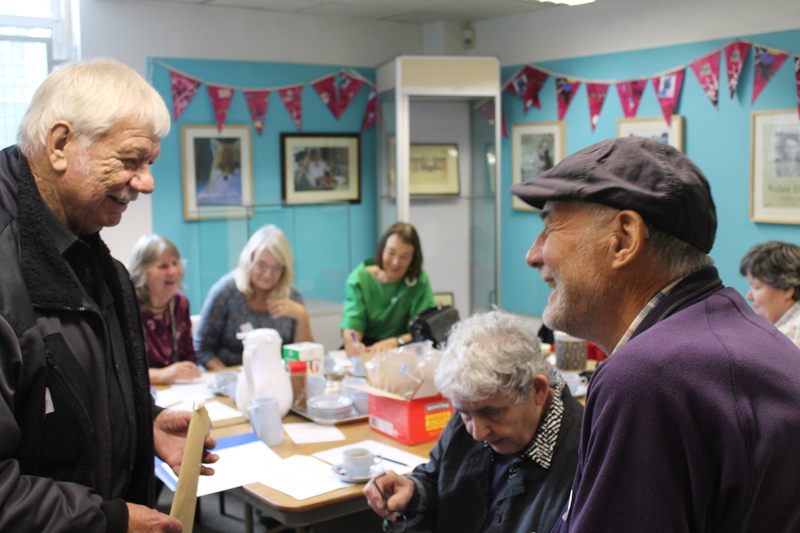 It was an honour to reunite former Nuneaton Art School students at the museum, to share in their memories of the Art School and to gather further history on the different ways in which the Nuneaton Museum building has served the community throughout the past 100 years.